When you expect that this one's one of the oldest topics for a food review, think again. You could never go wrong with Philippine halo-halo. I won't argue as to its origin or the correct mixture of ingredients (if there's such a thing). 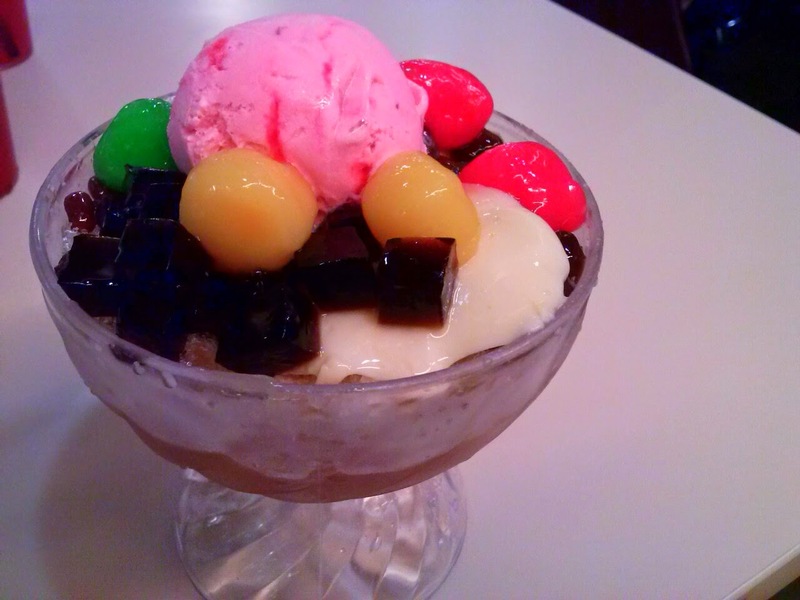 All I know is halo-halo could go as crazy as its evolution never fails to surprise me. Welcome to Karate Kid and their own version of halo-halo. It's their mochi halo-halo. I don't know if it's because of the summer season but the way it looks on their menu is very enticing I find myself trapped in buying such. Well, since i bought some other stuff, I ordered a serve-later notice to the personnel. Excited as a kid, my eyes opened wide when it reached the table. The way it differs from other versions of halo-halo is the mochi (of course)which you can really savor with real strawberry bits you know it's not just purely flavoring, the red beans and the mixes of fruits. Milky as I love it, i indulged until the last drop of its creaminess. Surely, if we love our very own Razon's there's no way we can turn our back to a varied twist of our all-time summer fave. Another bonus is the warmth of the peeps they have over their Megamall branch. Thumbs up! love ko with ice cream & leche flan on top.. burrrrppp..